With the upcoming elections on everyone's mind, it's small wonder that the 137th NRA Annual Meetings & Exhibits drew a record-smashing crowd of 66,229. 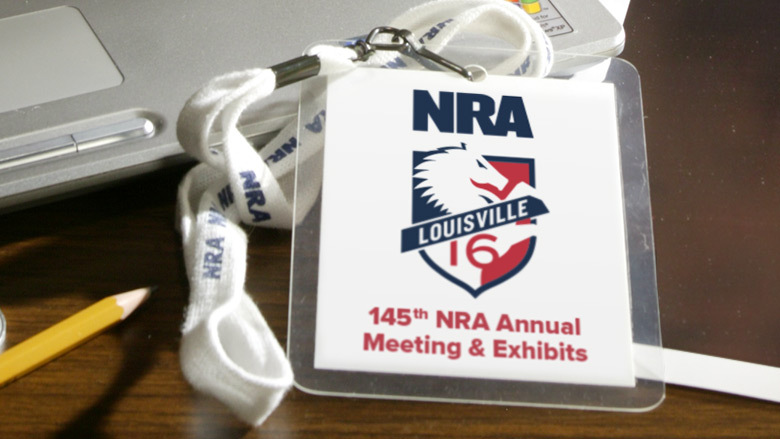 Held in Louisville, Ky., from May 16-18, this year's theme was "NRA Celebration of American Values." NRA members, family, friends and exhibitors alike celebrated in both style and substance. The NRA Annual Meetings & Exhibits opened on Friday to palpable excitement—and there was much to be excited about. From business meetings to seminars and special sessions, presentations, celebrity book signings, auctions, entertainment, exhibits featuring guns and accessories, and opportunities aplenty for food and fellowship, the 2008 event provided non-stop activity. There was, quite literally, something for everyone—including the unofficial guests of honor, hundreds of men and women in uniform, representing all the branches of our Armed Services as well as numerous law enforcement agencies. 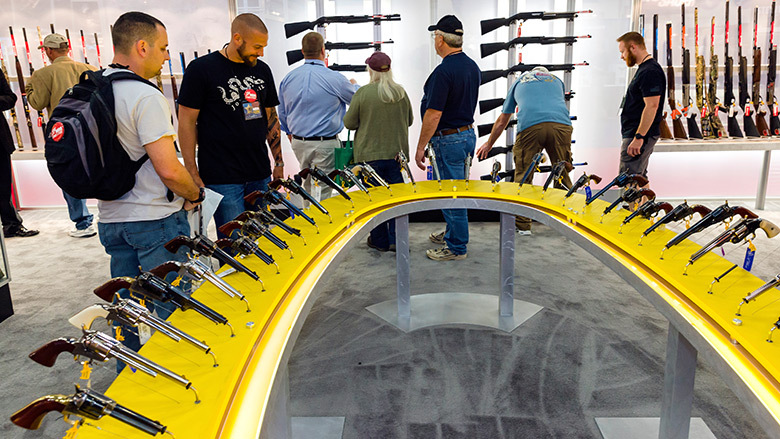 The Exhibit Hall buzzed with a festive, fair-like atmosphere as more than 400 exhibitors made Louisville one of the biggest displays of firearms and hunting and shooting equipment ever assembled in one location. Members learned about gun safes and security, sporting dog training aids, targets, taxidermy, hunting and shooting wear and more. Crowd composition was also diverse, with shooters, hunters and entire family groups hailing from all 50 states. "This gives us a very important and unique opportunity to bring NRA to our members," said Robert "Rocky" Marcario, NRA Membership managing director. "Those who attend are not only appreciative customers—they actually become part of an industry devoted to activities that are vital to their beliefs and their lives." Take, for instance, Friday's NRA Celebration of American Values Leadership Forum. Nearly 8,000 NRA members filed into the spacious Kentucky Exposition Center to hear a legendary line-up of speakers cut through the political hot air of this presidential election season and highlight the constitutional underpinnings upon which the NRA was built. The list included NRA President John Sigler, NRA Executive Vice President Wayne LaPierre, Kentucky Lt. Gov. Daniel Mongiardo, Lt. Col. Oliver North, former Arkansas Governor Mike Huckabee, Texas Sen. Kay Bailey Hutchinson, former U.N. Ambassador John Bolton, U.S. Navy SEAL Marcus Luttrell, Sgt. 1st Class Greg Stube, former Deputy Chief of Staff Karl Rove, former Massachusetts Governor Mitt Romney, Kentucky Sen. Mitch McConnell, Oklahoma Rep. Dan Boren and Arizona Sen. John McCain. But no one was quite prepared for the highly personal and proudly patriotic words that followed. Lt. Col. Oliver North recalled being on the front lines in Iraq during the initial invasion to topple Saddam Hussein when he witnessed a U.S. soldier carrying a wounded Iraqi from the front line. As the man carried the wounded Iraqi, North overheard a European reporter call the soldier a fool for doing so. The soldier's shouted reply was, "This is what we do! We're Americans!" But it was, perhaps, two servicemen wounded in the War on Terror who had the greatest audience impact—for their bravery and also their humility. "I've been shot, stabbed and I've buried about 45 of my best friends, and I wouldn't change a thing," said Marcus Luttrell, a U.S. Navy SEAL and the author of Lone Survivor. "You can't negotiate with an enemy who's trying to cut your ear off." He told the story of his fight against the Taliban and his eventual release to a thoroughly riveted audience. "We bled on the flag to keep it red," said Luttrell, "but we're just patriots, not heroes." NRA auctions provide fun and social vehicles by which NRA members can contribute financially to preserve their Second Amendment rights. 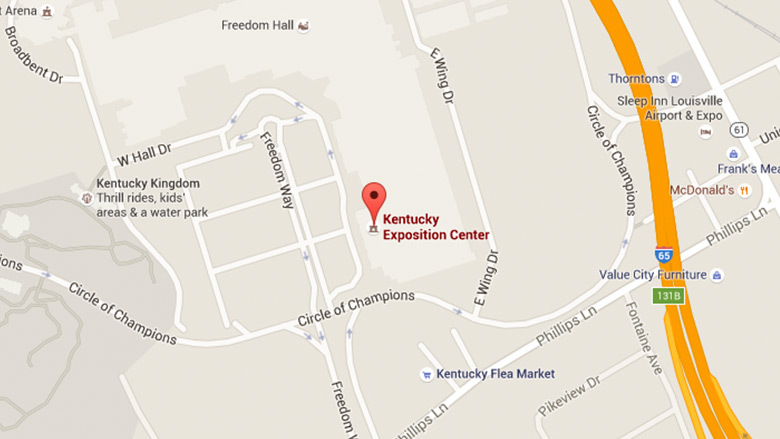 More than 1,000 people attended The NRA Foundation Banquet in the Kentucky International Convention Center. Sponsored by Sportsman's Warehouse, Brunton and Gerber Legendary Blades, the event included live and silent auctions for such items as safaris and hunts, a Remington Model 11-87 semi-automatic shotgun, a Ten Point Pro Fusion crossbow, an Elvie Jackson wood turning and a golf package for four. Another 750 attended the Sportsmen's Luncheon and Auction sponsored by Bass Pro Shops, bidding on exotic hunts, advanced firearm training, an autographed Tom Selleck picture with accompanying Quigley rifle, a Weatherby Mark XXII in .17 HMR and a Trijicon TR20 3-9x40 mm riflescope. Winners included auction participants and The NRA Foundation, which took in $215,000 on the two events. The Second Annual NRA-ILA Dinner and Auction was held Friday night. The gala featured a dinner and live and silent auctions. On the block were one-of-a-kind firearms such as Browning Citori serial number 1,000,000, side-by-sides from Connecticut Shotgun Manufacturing, a top-quality Kreighoff double rifle and hunts ranging from Alaska to Africa. A special thanks is due to Midway USA's Larry and Brenda Potterfield who, along with Beam Global/Future Brands and Anheuser-Busch, underwrote the cost of the event, allowing NRA-ILA to retain 100 percent of the proceeds for the upcoming elections. NRA-ILA also recognized Frank and Pete Brownell of Brownells, Inc. and Sinclair International, for their lead gifts toward NRA's upcoming nonpartisan voter registration outreach efforts. By the time the last gavel banged, NRA-ILA netted more than $500,000 for the crucial battles ahead. NRA auctions provide fun and social vehicles by which NRA members can contribute financially to preserve their Second Amendment rights. Later, Special Forces Sgt. 1st Class Greg Stube explained how he and other Green Berets fought thousands of Taliban for days before he was badly wounded. Stube's life was saved by the heroics of his fellow soldiers and the battle was won. Ever humble, Stube recalled that while he lay wounded for a year at an Army hospital, his wife lived out of a suitcase while raising his infant son. "A soldier is only half the story," said Stube. "It's not easy to sit at home and wait for a phone call." Near the end of the forum, Sen. John McCain took the stage. "I've opposed efforts to ban guns," said McCain. "The Second Amendment is unique. To argue anything else is to reject a clear meaning from our founding fathers." McCain promised to put justices on the Supreme Court who believe the U.S. Constitution says what it means and means what it says. He thereby solidified the day's message on American values with a call to action to defend them this November. Inspiration was followed by festivity at the Friday evening, free outdoor concert at Fourth Street Live, hosted by NRA and sponsored by Gander Mountain. Here, NRA members were treated to a toe-tapping set of country music from some of today's top female acts, including Sara Johns, Cowboy Crush and Jennifer O'Neil. NRA's favorite funny man, T. Bubba Bechtol, provided his distinct brand of comic relief. Saturday was even busier than Friday, starting with the Prayer Breakfast. David Blanton, well-known television producer and personality from Realtree Outdoors, delivered a powerful message about how he became too wrapped up in his career, in being a "famous hunter." Then, he said, at a moose hunt in 1995, God spoke to his heart. "The reception was incredible," said Blanton. "Afterward, folks came forward wanting to share their stories with me . . . I am truly blessed to see firsthand how many are touched by God." By 10 a.m., it was time to get down to the business at hand. In his Executive Vice President's message, Wayne LaPierre warned that our Second Amendment is facing a "perfect storm"—that anti-freedom forces are pressing forward with their "elite conceit," that American citizens do not have the right to defend themselves. 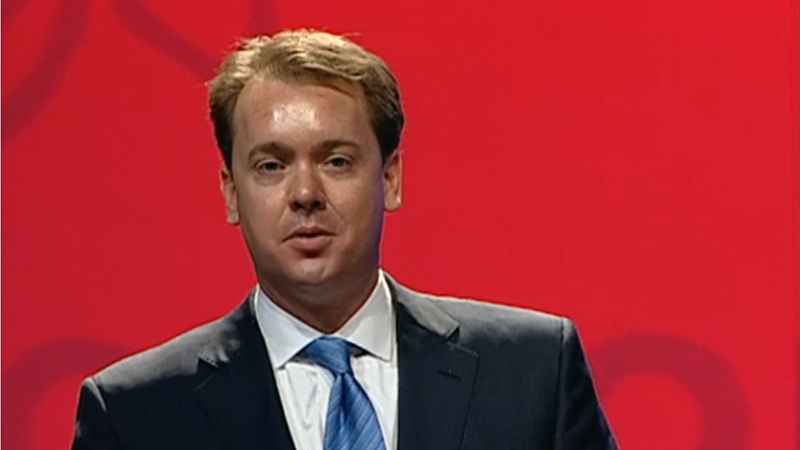 NRA-ILA Executive Director Chris Cox explained how NRA keeps politicians honest about their record on gun rights. "It's gun owners like you who help us keep politicians on the right side of the Second Amendment—or out in the cold," he noted. NRA President John Sigler recalled his travels during the past year, his first as NRA president, meeting gun owners from every walk of life, each of whom enjoy the shooting sports in their own way, but all of whom share one common denominator. 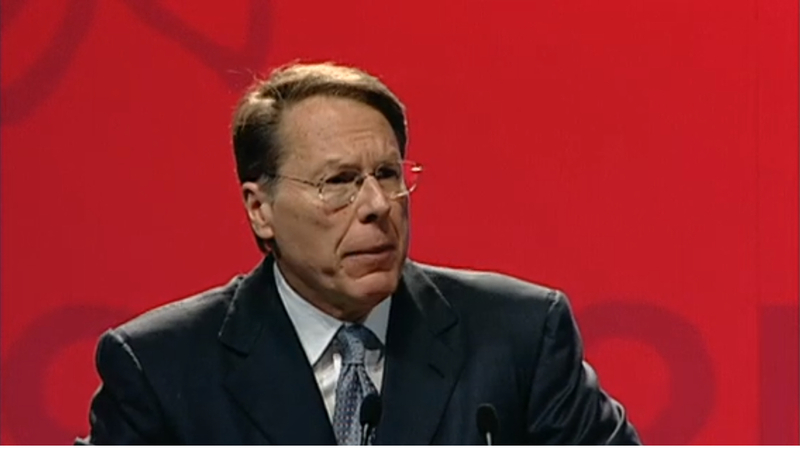 "You are all stakeholders in the Right To Keep And Bear Arms," he exhorted the crowd, "and you belong in the NRA. When any gun owner's rights are diminished, every gun owner's rights are endangered." At the Saturday night Celebration of American Values Banquet, the Harlon B. Carter Award for Legislative Achievement was presented to Louisiana Gov. Bobby Jindal. "Aren't we lucky to have the NRA to defend our rights?" asked Jindal, who as a U.S. Congressman helped pass federal legislation outlawing gun confiscation during or after natural disasters. "Because NRA has a great team standing up for us every day! "Presentations and awards are yet another highlight at the Annual Meetings, offering a way for NRA to honor those who have gone above and beyond. At the Corporate Executives' Luncheon, held at the home of Bill Samuels, Jr., president of Maker's Mark, Senator Phil Gramm and NRA Executive Vice President Wayne LaPierre thanked over 100 corporate executives for lending their support to NRA and helping defend the Second Amendment. J.D. Williams and Ugo Beretta were presented with NRA awards for distinguished corporate leadership in the advancement of America's firearm and shooting heritage. This year also marked the 48th anniversary of the NRA's National Gun Collectors Awards Program. Awards were presented in recognition of the various NRA affiliated gun collector clubs that gather at the Annual Meetings to display their collections for the public. With 24 affiliated clubs represented at this year's event, the prestigious NRA Gun Collectors Committee Trophy was presented to the American Thompson Association for their exhibit entitled "Dr. Calvin Goddard: CSI St. Valentine's Day Massacre." The exhibit featured two Model 1921 Thompson Submachine guns that have been forensically linked to the slugs and empty .45 ACP casings found at the garage located at 2122 N. Clark Street in Chicago on February 14, 1929. From the National Anthem, performed by Kelly Ford, to the colors presented by the Society of the Sons of the American Revolution, to the video tribute to Charlton Heston and the closing remarks, the banquet exuded red, white and blue.Of course, nothing shows the patriotic nature of the NRA, its leaders and its members like the annual Saturday night banquet, and this 137th celebration of freedom was no exception. Beck, whose love for America shines through in his appearances, drew emotional responses from the crowd when he declared, "America is a special place. This land has a golden door. We want to do the hard work now so our children don't have to. "Keynote speaker Glenn Beck, a new NRA Life member and popular radio talk show host, was on the receiving end of several ovations with his witty, yet poignant, remarks about life in today's world. "Where the hell are the real Americans?" Beck asked at the conclusion of a critique about lawmakers, politicians and Washington, D.C., insiders. "I can tell you where they are—lots of them are in this room!" He drew them in yet again when he threw down the challenge, "Are we a country that can't get it done—a country afraid to stand on our own two feet? Or are we the country that changed the world—that first gave humans the real taste of freedom!?" NRA's special sessions and seminars are always a huge draw. The ILA Grassroots Workshop brought together a passionate group of pro-gun patriots intent on learning what they could do to help elect pro-gun lawmakers to office. And the Grassroots staff, with help from NRA's national officers, delivered with topics ranging from efforts to reform BATFE, micro-stamping legislation, thwarting a bill to end gun shows, D.C. v. Heller, efforts to allow Right To Carry in National Parks and discussions on grassroots strategies for communicating views to lawmakers and winning at the ballot box. Attendees at the National Firearms Law Seminar heard officials from FBI NICS and ATF, Kentucky Supreme Court Deputy Chief Justice Will T. Scott, Lt. Col. Oliver North and Stephen Halbrook. The ILA Grassroots Workshop brought together a passionate group of pro-gun patriots intent on learning what they could do to help elect pro-gun lawmakers to office. The "NRA and the Media" seminar was moderated by NRA Board member Susan Howard. The panel included NRA Past President Sandra Froman, The Washington Times political analyst Ralph Z. Hallow, NRA Board member and attorney, Cleta Mitchell, NRA Second Vice President David A. Keene and retired Lt. Col. Oliver North. Martin Morgan, research director of the National D-Day Museum and author of Down to Earth: The 507th Parachute Infantry Regiment in Normandy, was the guest speaker at American Rifleman's session on World War II history and the guns of D-Day. Spill-over crowds were also in attendance at three Refuse To Be A Victim seminars; Craig Boddington's "African Experience;" Blackhawk's Tom Marx's presentation on "Methods of Concealed Carry;" the "Handloading Today" seminar; Bill Winke's "Guaranteed Whitetail Tactics" and the "United We Stand" seminar, featuring musician and NRA Board member Ted Nugent. For those who wanted to take home a memento of the occasion, there were a variety of meeting collectibles for sale at the NRA Store. There were also abundant opportunities to purchase celebrity-signed books by such notables as former Arkansas Governor Mike Huckabee, Ted Nugent, Lt. Col. Oliver North, Glenn Beck, Marcus Luttrell, Grover G. Norquist and Stephen Halbrook—providing you were willing to brave the long lines. So how successful were the 137th Annual Meetings & Exhibits from the standpoint of those in attendance? "This has been a blast, unforgettable," said Bobby Loftis of the entire event. The NRA- certified firearm instructor from Kentucky was accompanied by his friend, Susan Lewis, and her teenage son, Andrew. "I help out with our local Friends of NRA, and now we come here and actually get to meet (past NRA president) Sandy Froman and (NRA director) Ollie North. This is a great place to bring youngsters." On the vendor side, exhibitor Justin Moon, CEO of Kahr Arms, was also pleased with the outcome. "This is a great opportunity to meet our customers and people we want to be our customers," he said. "One thing about NRA members—they give feedback. And we listen. That's how we are able to make the products that make them happy, that's how we stay in business." 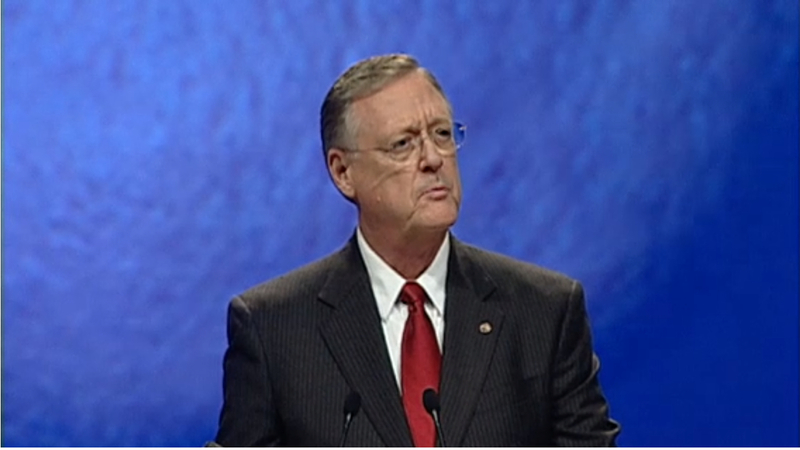 Clearly the 2008 NRA Annual Meetings, with its Celebration of American Values, was an emotional highpoint for NRA members in their quest to preserve their Second Amendment rights. Those who attended left re-energized for the work ahead. The 2009 Annual Meetings & Exhibits will be held May 14-17, 2009 in Phoenix, Arizona. Housing is now open. For more information, logon to www.nraam.org. A very special group of donors were invited to listen to NRA EVP Wayne LaPierre's personal, and often humorous, anecdotes at a private breakfast in an informal setting. Held at the residence of Owsley Brown Frazier, honorees included members of the 2008 NRA Annual Meetings Louisville Advancement Advisory Group. NRA President John Sigler unveils a print signed by NRA Publications Art Director Harry Jaecks. The first 1,000 Ambassador-level members inducted into The Heritage Society will receive a signed, numbered print. Forty new Ambassador members were inducted into The Heritage Society at the event held at Keenland in Louisville, Ky.
Executive Vice President Wayne LaPierre's remarks in Louisville warn of the perfect storm facing the Second Amendment. Which means that behind every anti-gun law candidate, editorial or movie, is a "ruling class, that can't stand you taking responsibility for your own safety." Offering the finer points of how the NRA holds elected officials accountable for their gun record, Chris Cox says, "It's gun owners like you who help us keep politicians on the right side of the Second Amendment - or out in the cold." One of his examples includes a revealing vote by then Illinois state senator Barack Obama. With a reflective recollection of travels during his first year of NRA presidency, John Sigler speaks of his encounters with gun owners from all walks of life. Gun owners who share a critical common denominator, "when any gun owner's rights are diminished, every gun owner's rights are endangered."